Join a crew of celebrity lookalikes for a fun-filled 90-minute ride down the Las Vegas Strip aboard an authentic London-style double-decker bus. 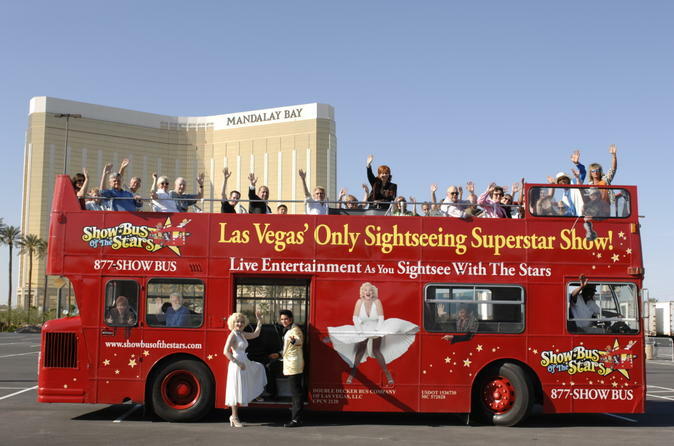 Climb aboard your bus with a cast of fun celebrity impersonators like Dolly Parton, Elvis Presley, Elton John, John Lennon, Madonna, Shania Twain, Cher and many more, as you cruise past the most famous sights of the glitzy Vegas Strip. The impersonators on each ride are unique, ensuring a lively trip no matter what day you ride. Performances by celebrity impersonators which may include Elvis Presley, Cher, Dolly Parton, Elton John and more! Choose between general or VIP seating! Take a memorable ride on the Las Vegas Strip aboard an authentic London double-decker bus, accompanied by a celebrity impersonator. It's the type of surreal, hilarious experience you can only have in Sin City. Choose either a morning or evening departure time to fit your schedule. Then climb aboard the bus at your pre-arranged meeting location along Las Vegas Boulevard, South. Once aboard, prepare for fun as you enjoy a performance from your celebrity lookalike.  Depending on the day, you may enjoy a show from such famous personages as Liberace, Cher, Stevie Wonder, Dolly Parton, Elton John, Elvis Presley, Janet Jackson, John Lennon, Shania Twain, Marilyn Monroe or Madonna. As you ride, you’ll have a chance to interact with the performer, capturing a few photos (or maybe a selfie) surrounding by the eye-popping light show of the neon signs along the Vegas Strip. If time permits, you’ll also have the chance to take a 10-minute break at the Stratosphere Hotel & Casino. Choose from two different seating options, including a VIP Seating choice, which grants access to 44 upper level seats, and General Seating, which offers 26 seats on the enclosed lower level of the bus.